Guardall is actually Australia’s very own superior gun safe manufacturer. Our team design our own solutions and have them produced according to the strictest of quality regulations. 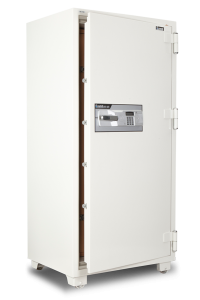 Guardall has a safe for any function; residences, businesses and organizations through to banking institutions; all to keep your posessions safe from theft and flames.View our site to identify the particular safe that you feel matches your needs, and contact us right away for the particular Guardall choice. Call 1300 1 SAFES (1300172337) for you to be connected to the nearest Guardall Preferred Rep. Investing in a safe for the home or business can be a great way to safeguard your possessions. There are numerous products offered but the best choice is determined by exactly what an individual need to secure, the danger along with the amount of safety you need. When burglary is a problem, opt for a product which can be anchored tightly to your residence or business premises for the very best security. In the event that fire protection will be the top priority consider the fire resistance score. With regard to media including data cassettes as well as discs, go with a media safe having dry fill structure which does not generate h2o steam. Adding a safe at home or business may have amazing benefits in reducing insurance charges. Seek advice from your insurance firm to discover if your brand-new safe or vault will qualify you to get special discounts. Whichever solution you ultimately choose, consider the options carefully to make the best choice to defend your possessions. Or possibly even less difficult, call us and we’ll help guide your decision making process. The one moment you require that security you’ll know it was time spent well.